Mango Languages and Road to IELTS - Preparation and Practice, are online tools provided to Sutherland Shire Library members. When would you use these language learning tools? To talk to someone you know in their own language. To learn some basic language skills to help with your travels. Then this is when you would use these online tools. 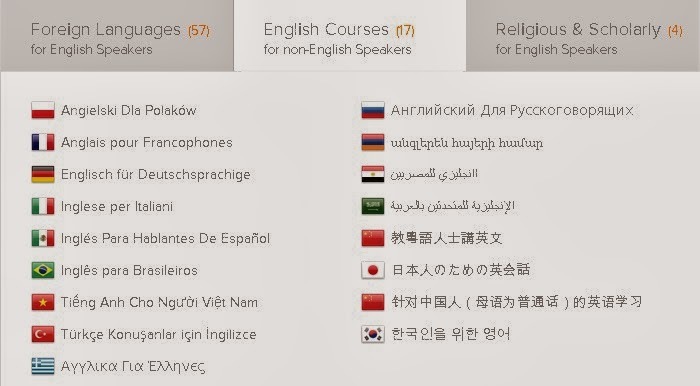 Mango Languages online offers courses in 57 non-English languages. 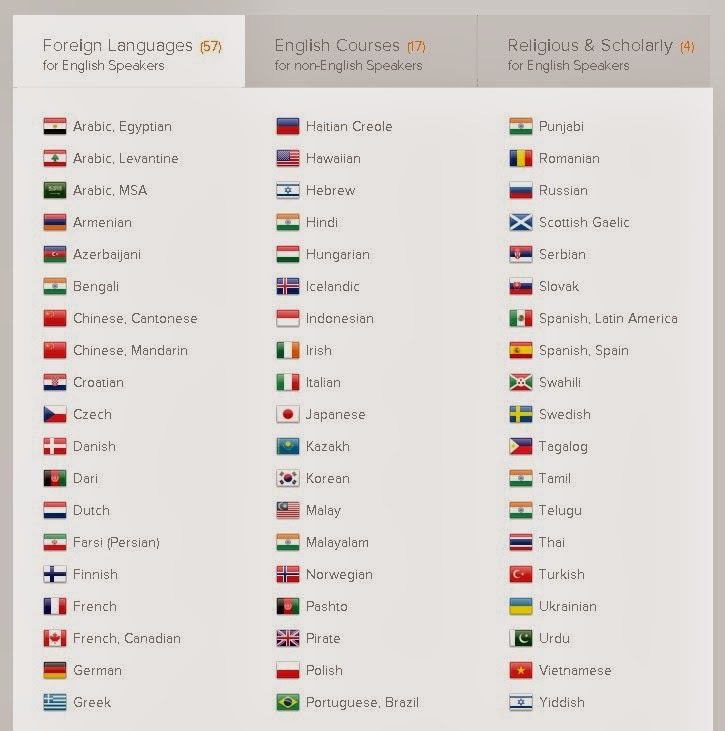 and English courses designed for speakers of 17 languages, as well as Latin, Greek - Koine, Ancient Greek and Biblical Hebrew. Courses can be used on a PC or a Mango App is available for use on tablet or smartphone, Android or Apple devices. listening to and repeating after material designed from native conversations, users not only learn the individual words and phrases, they will know how they're used in practical situations and conversations. Everyone is asked to create a profile the first time you use it, from then on each time you return you will be asked to login. This allows for your progress through the course(s) to be tracked so you always know where you are up to and how well you are doing. Lessons are divided into short chunks and do not have to be completed in order. They can be skipped through until you find the situation to match your immediate needs. The International English Language Testing System, Road to IELTS - Preparation and Practise courses come in two levels, General or Academic. Road to IELTS - General training measures English language proficiency in a practical, everyday context. The tasks and texts reflect both workplace and social situations. It includes 120 hours of work on the essential components of the test, vocabulary, reading, writing, listening and speaking. The program simulates the exam itself. Road to IELTS - Academic training measures English language proficiency needed for an academic, higher learning environment. 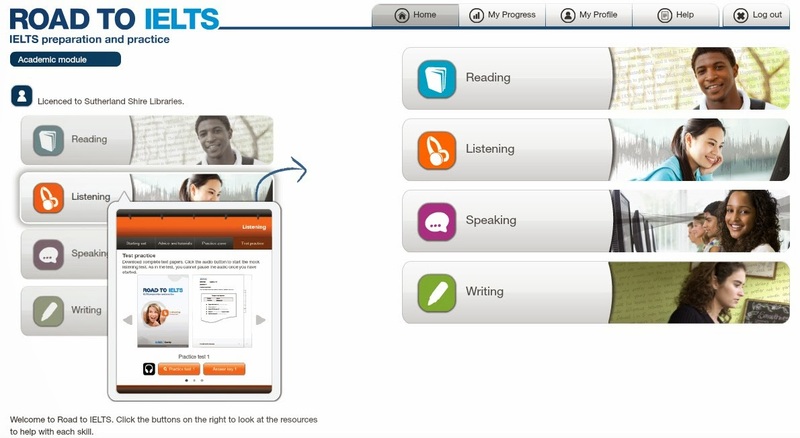 The tasks and texts are accessible to all test-takers, irrespective of their subject focus. One of the challenges of IELTS preparation is enabling learners to interpret and describe charts and tables. Road to IELTS - Academic includes a wealth of these graphics and more than 70 exercises. The program includes detailed explanations of each question type in each part of the exam, and tips on how best to tackle the tasks. The distinction between the Academic version and the General Training version lies in the subject matter of the Reading and Writing components. To be clear, one cannot sit the test, using these library tools. They are designed to prepare learners for what will be expected in the tests, so learners can sit the tests as well prepared as possible.